I will use any excuse to plan and decorate for a party—especially for my little ones. They love watching the set-up and they of course love all the treats. 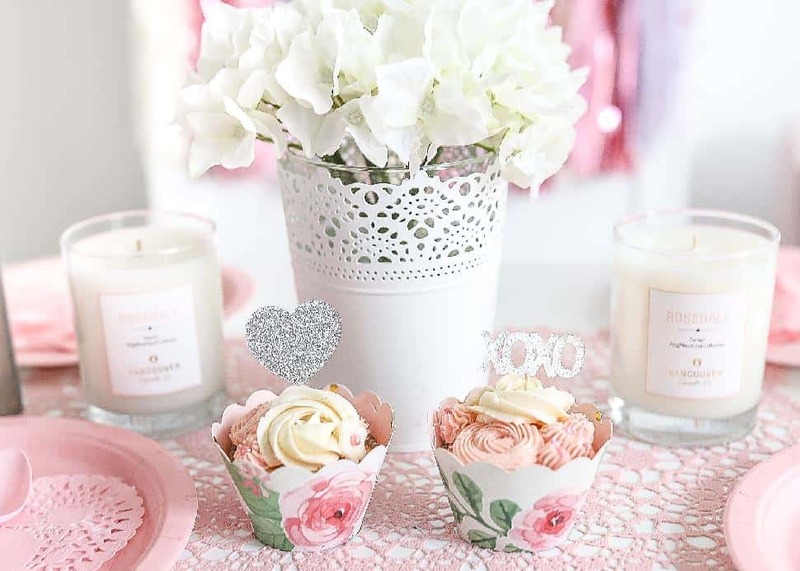 For Valentine's Day, I've come up with some easy and budget-friendly ways to create the perfect party, featuring supplies from some wonderful local shops that carry seasonal decor. I think that the most popular thing in this party set-up was the colouring table—it was a huge hit! 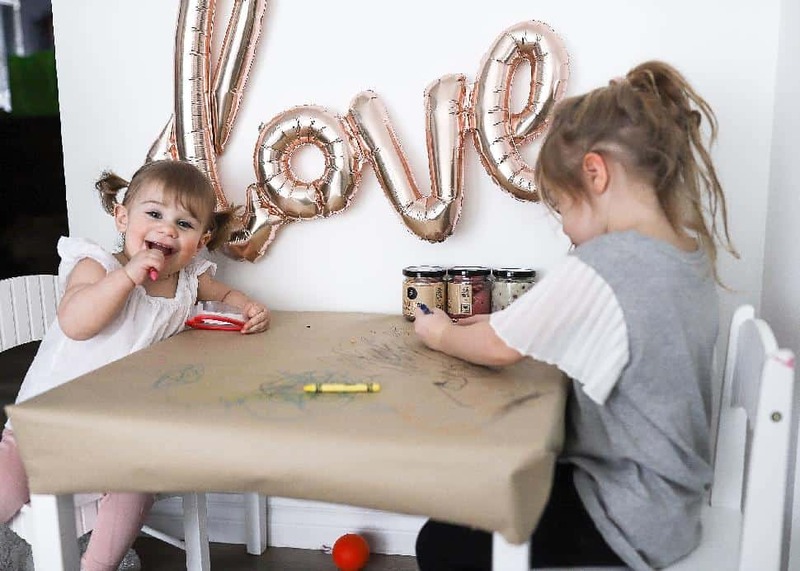 To create your own, use a roll of plain wrapping paper, tape it to the top of a toddler table and throw on some crayons. The kids sat there forever having such a blast. Another activity they enjoyed was playing with Little Larch’s Natural Playdough, which is made from all-natural essential oils and ingredients. It was such a blast for them... we gave them some cookie cutters and let them get creative! Now the good stuff—the treats! 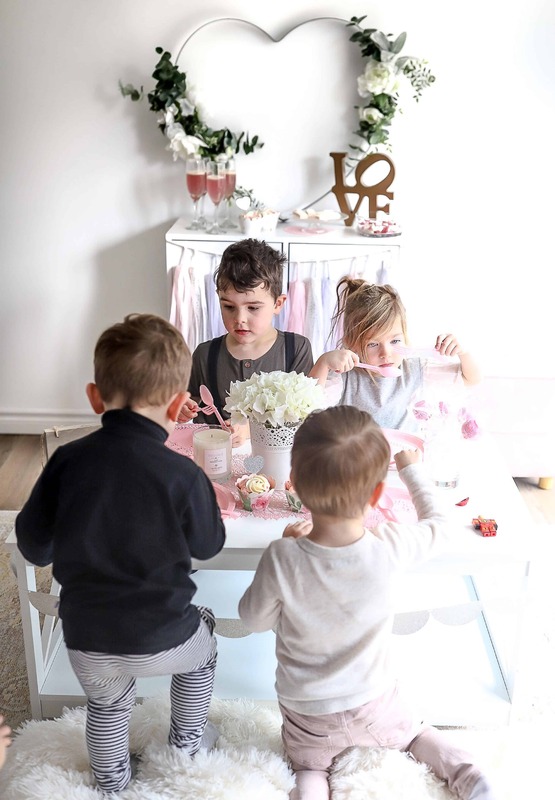 I have to say that Trois Filles knew exactly what the kids would like—the sweet filled cupcakes, macarons and floral cake pops were delicious. 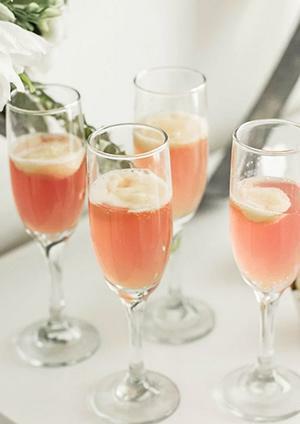 A good friend of mine from Life as a Wife and Mom brought over her fabulous recipe for her Sweetheart Fizz drink (recipe below). All in all, the party turned out to be so beautiful and so fun for the kids. The looks on their faces when they see something so special just for them is priceless, and it will fill your heart with love this season. To find more DIYs and recipes on planning your next Valentines Day Party visit Loving Littles Blog. The kids were beyond excited to see the ice cream floating on the top of this fizzy mock Bellini! You & Me Sign | Ally Beth Design Co.